The driving force and momentum behind OlympiaTech Electric is our dedicated team. We are truly powered by our people. Get to know the OlympiaTech team in our employee spotlight feature. 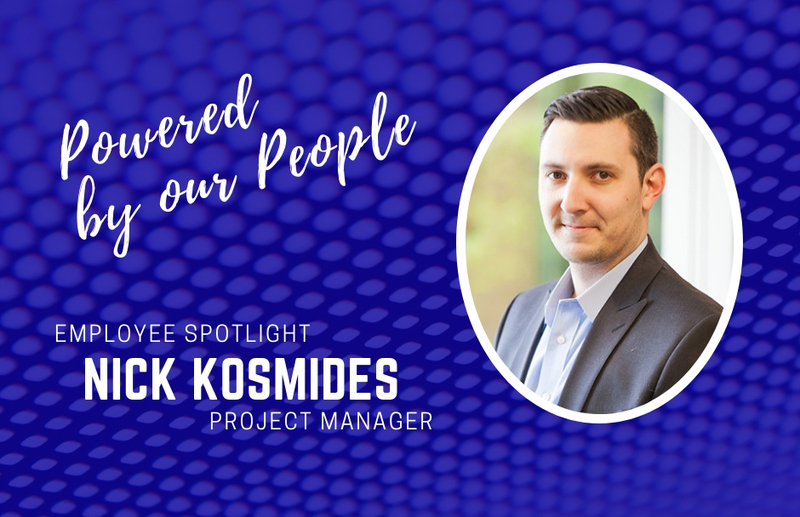 Today, we’re introducing you to dedicated project manager Nick Kosmides. Describe your role at OlympiaTech in 10 words or less. Deliver projects on-time and within budget. How long have you been working at OlympiaTech? 5 years full time, but it is a family business, so I’ve been around it my whole life. How long have you worked in the electrical/construction industry? How did you get started in the industry? What are three words to describe working at OlympiaTech? What is your favorite part about working for OlympiaTech? I love our culture, we’re all one hard-working family here. What has been your favorite project at OlympiaTech? Temple Israel – the new lobby, religious education center, and courtyard brought this staple of Uptown Minneapolis into the 21st century. It turned out absolutely stunning – check out the pictures if you get a chance. What’s one tool/resource/app you couldn’t live without? BluBeam – a PDF reader and editing software. What’s one thing your co-workers and colleagues don’t know about you? I like cleaning. It’s a great feeling to have everything clean and organized.